Are you casting about for something different to do this weekend? Head to the Olympic Peninsula for the Dungeness Crab and Seafood Festival. It’s located in downtown Port Angeles, in the shadow of the Olympic Mountains and overlooking the Strait of Juan de Fuca. Our Olympic Peninsula Wineries will be serving locally made Washington State wines and ciders at the Wine and Beer garden near the Port Angeles City Pier. 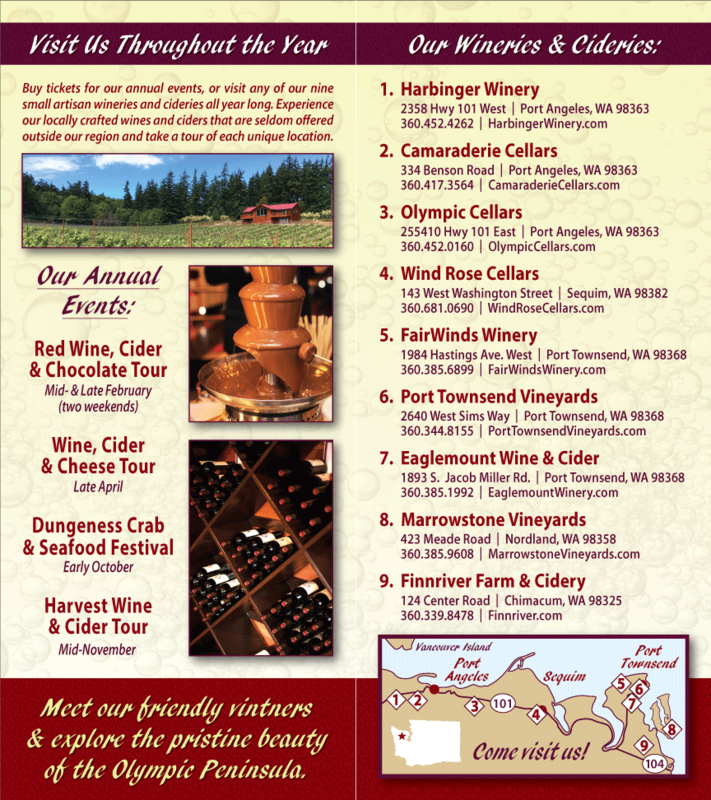 This is one of a handful of annual events where you may taste wines from all eight of our members Olympic Peninsula Wineries in one location. That’s a wonderful opportunity in an of itself; the fact that you’ll also be able to feast on Dungeness Crab and an assortment of other seafood from the Pacific Northwest is an added bonus. Enhance your experience by embarking on a Sunset Crab Cruise with Expeditions Northwest (Saturday). Participate in the Crab Festival Volleyball Tournament on Hollywood Beach, and the Friday night Crab Feed. There will be cooking demonstrations by several outstanding chefs, and an after-hours celebration at The Wine Bar, in the Landing Mall. It’s always worth traveling for Dungeness Crab. Consider making a weekend of it, so you can wine and dine to your hearts’ content. Please see the Dungeness Crab and Seafood Festival website for additional information, including lodging options.